A lot of salespeople use PowerPoint to present. A projected PowerPoint presentation can obviously be helpful when speaking to a group. But when I meet with a prospect one-on-one, I prefer to sit next to him/her and flip through printed PowerPoint slides together. Here is why. Sitting next to someone and naturally conversing is much more intimate and organic than each facing a third entity . . . the screen. It invites more questions and interaction, and emotionally invests the prospect into the process. It is also a much more natural way to encourage eye contact while also allowing you to size up body language and reactions. Remember, PowerPoint is just a tool. You are the salesperson. I'd like to receive the Mr. Shmooze Blog via email weekly. People are Born with Charisma Right? Wrong! 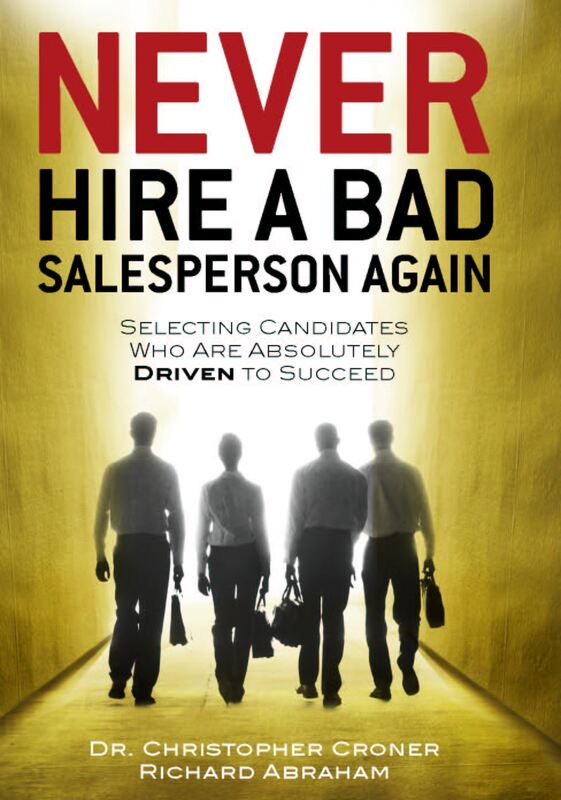 Download a Free Copy of SalesDrive’s book: Never Hire a Bad Salesperson Again. The Richard Abraham Company is owned by Richard Abraham, who is a speaker, writer and consultant. When not consulting or writing his syndicated column, Mr. Abraham conducts workshops and seminars speaking on the topics of relationship selling and maximizing the sales encounter. Mr. Abraham engages his audiences in print and in person with a blend of energy and ease. The result is a winning formula for success—entertaining, motivational and highly informative! All material appearing on this website is proprietary, and may not be reproduced in any medium without the consent of The Richard Abraham Company.